Note: The Photoduplication Service mentioned in this blog post are no longer available. 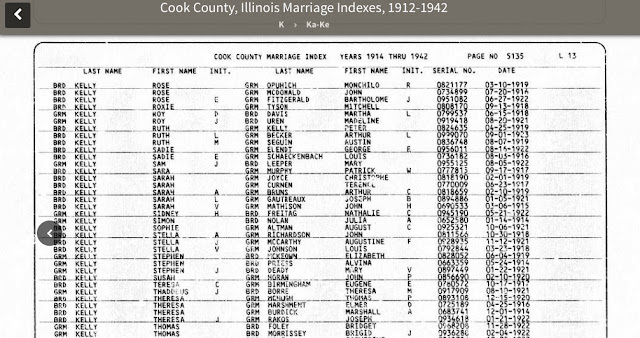 In a previous post, Some Images No Longer Available on FamilySearch, I noted that the FamilySearch Wiki article on Illinois, Cook County Death Records mentioned that digital images could be obtained through FamilySearch's Photoduplication Services. In order to be able to better answer questions about the service, I decided to try it myself. On January 29, I sent an email asking for a copy of a New York City church baptismal record for Sarah Catherine Trafford. She appears on my husband's family tree and it was a record that we sincerely wanted. 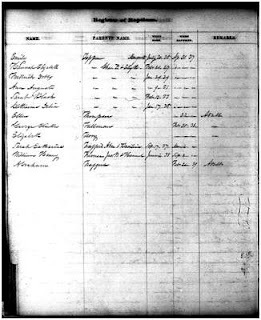 I provided a link to the FamilySearch index entry and included the index information. I also provided my name, address, telephone number, and email address, as requested. Today I received an email with the subject "You have received a file from photoduplication Shared." It included a link, good for 14 days, that I could use to download the file. Clicking on it took me to a page that let me download a zip file. The zip file contained two files -- a jpg and a pdf, both of which were created on February 14. The jpg was large (2416 x 2966 pixels) and very readable. The pdf was a cover letter that told me the record was the "best copy available." It also gave me details on how to order additional records by email and wished me success. So, in summary, I received a quality image by email for free in three weeks. Can't beat that! I'm grateful to the volunteer(s) at FamilySearch who retrieved the image and forward it to me, but I don't think I will use the service again. Why? I have easy access to a Family History Center and so I can't justify asking someone else to obtain records for me. I'm pretty sure the image retrieval service wasn't meant to take the place of film ordering. But there's more to it than that. Looking at the record that I got today, I saw an entry for Sarah Catherine Trafford, born to Abraham and Basilia, but two lines below I also saw an entry for an Abraham--an adult. I think Sarah's father might have been baptized a year and a half after she was born. It made me wonder if other family members might have appeared on the reel? So, how does this relate to the Chicago vital records that were taken offline? It's an awkward question for me to answer in an unbiased way, but I'll try. If you're not in a hurry for a record and you don't have access to a Family History Center, then I'd say it's a great way to go! If you do have access to a Family History Center, then it's up to you to decide whether to use the service or to order in a film. Where does my service fit in? If you need a record in a hurry (I can visit the Family History Center on Tuesday, Wednesday, Thursday, and Saturday) or if you've decided, for whatever reason, not to use the free service, then I'm still here, ready to help. I'm planning to offer a discount on multiple-record orders going forward and I'll be updating my Genlighten.com offerings soon. My husband and I have three Valentines on our family tree--Valentine Mink, Valentine Smith, and Sarah Ann Valentine. I love them all. Valentine Mink was born in Germany in 1805 but lived much of his life as a farmer in Floyd, New York. He carefully crafted his will to divide his estate fairly among his children. “The Cow or the thirty five Dollars that I gave to Janetta C. and the Horse or one hundred and twenty Dollars that I give to my sons George Franklin and John Philip is to make them equal to the elder children and not be included in the one eighth which each of them is to have.” I love him for that. Valentine Smith was born in Chicago in 1873. As a descendant of an early settler and successful entrepreneur, she inherited a place in society that gave her the freedom to focus on her passions and one of them was history. She served, briefly, as Chicago’s first archivist and spearheaded a number of important local history projects. Many people who worked with Valentine found her difficult and demanding, but in the early 1900s she served as a constant reminder to the city fathers that Chicago’s history was worth preserving and worth celebrating. I love her for that. And then there’s Sarah Ann Valentine, born in Schodack, New York in 1837. As a young woman she married a widower with children and then, three years after his death, she became my great-great grandfather’s third wife. Sarah’s life was simple. She cooked. She cleaned. She went to church. She mothered stepchildren in addition to her own. Sometimes she was happy. Sometimes she wasn’t. But, she was grateful for family and friends. 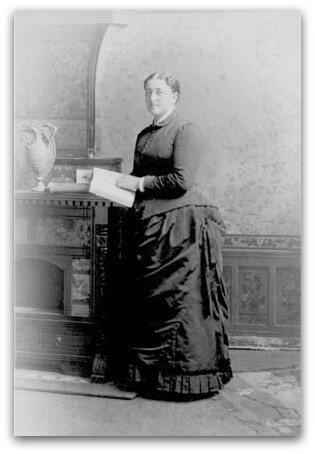 On 8 Feb 1883 she wrote: "quite a pleasant Day washed flanel sheets, Baked Bread, commenced Mr A shirts, sewed some. … roads drifted some. Alone with my little family this eve my heart rises with thanks … "
I feel a surge of emotion when I read those words. I love Sarah for taking the time to keep the journals that allow me to feel close to her. Happy Valentine’s Day to you and to the ancestors you love.